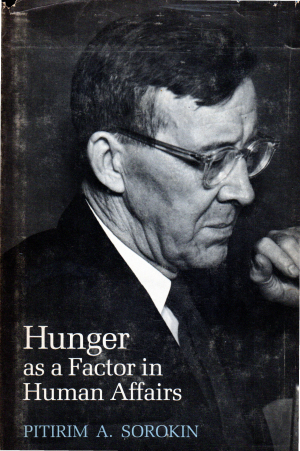 A remarkable exchange between Harvard history professor Crane Brinton and Pitirim A. Sorokin, then chairman of Harvard’s Department of Sociology, occurred in 1937 and 1938 in the pages of The Southern Review, a respected journal. That it appeared in The Southern Review, a literary journal, rather than a journal devoted to history or sociology, is noticeable. Professor Brinton’s article comprised as an appraisal of the first three volumes of Sorokin’s magnum opus, Social and Cultural Dynamics. It was not a standard review, by any means; it was, in fact an essay-review. It was over twenty pages long. Professor Sorokin’s rejoinder was about ten pages long. Brinton attacks Sorokin with no holds barred, criticizing everything from the methodology and assumptions underlying the work to what he views as Sorokin’s atrocious prose style. Sorokin, clearly stung by the review, responded with a strenuous defense of his work in which he seemed at times to be on the defensive and in other sections of his rejoinder essay tried to even the score with a vigorous counterattack. The two articles are posted above as downloadable PDF files.